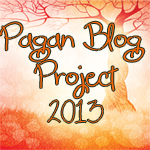 For this week's Pagan Blog Project post, I have decided to write about a project I have undertaken recently. Actually there are two separate projects. I am creating a couple of mojo bags for some people I know. In this context I am using "mojo bag" to refer to a generic spell bag. I don't practice hoodoo, nor do I know much about their spell work. For these two people I am creating individualized spell bags customized to the person I am making it for. As in any other magick, spell bags are more potent if you create a new "recipe" for each one. We'll call the first person "A". A was recently diagnosed with an incurable degenerative neurological disease. In addition to other work she is doing for herself, and other healing services offered by yours truly, I recommended the creation of a spell bag to reinforce the healing effects between visits. I journeyed to ask the spirits what was needed for the creation of a spell bag for A. The green of course, symbolizes healing. Mint is good for the nerves. The meat of the walnut looks like the brain, so the walnut represents the nervous system. The spirit animal in question has appeared in all of A's healing sessions. It is a powerful ally in her healing process and including it's bone will add much power to the working. I have the first four items already, but not the last two. Birch is not that common in my area and I haven't had a knife with me to cut off a small branch the few times I have seen one. Also the wood must be freely given by the tree. After I have the wood, I will use my wood burner to inscribe it with the birch rune. The last item will be the trickiest. A has to supply this item herself. Part of the reason I haven't made the bag yet is because she hasn't provided it. This is one of the most important lessons of magick and healing: You have to be involved or it won't work. Magick is not a cosmic ATM, it takes work. That's why she has to provide one of the items for the bag. Once I have all the items needed, I will have a ceremony to create the bag. A will need to be present at the bag's creation. During the ritual, I will prick A's finger in order to blood the rune. This serves two purposes. First, blooding a rune gives it power, and secondly, it binds the rune and the bag to A. Once the bag is complete, A will need to carry it on her person and not allow others to touch it. These will be placed in a blue bag because I find blue to be soothing. The hematite and iron nail both attract and ground negative energy. Sage is used to clear energy. Lavender oil is very relaxing. Also, these four things represent the four elements (with the iron nail for fire).